The Atlantis base is threatened when the team discovers that an alien entity is in the city. McKay grows worried when he is unable to remove an Ancient shield device. After unsuccessfully attempting to drink a cup of coffee, McKay is beginning to fret. But Beckett is celebrating. His first test subject was a success. Meanwhile, allocating living quarters is proceeding in a timely manner. Teyla wishes her people to contribute, but Sheppard and Weir caution that it will take time to train them in Earth’s weapons and tactics. In the command center, the Atlantis staff is each issued a command code in the event the city is compromised. Sheppard tries to scare the Athosian children to sleep by telling them a bedtime story, but they get hung up in the unknown human terms. Afterward he plays an historic football game for his team, introducing Teyla to the concepts. Meanwhile, Jinto and Wex leave their quarters and play a game of hide and seek in the dark corridors. After an odd delay, Wex calls out for Jinto, but he is gone. Sheppard awakes his men to locate Jinto. Weir makes a city-wide communiqué for him, but the only response is a loss in power and a random gate dialing. 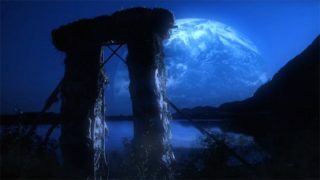 McKay suggests that there might be ghosts in Atlantis. During the search one of the Athosians reports to have seen a shadow. Sensing a possible danger, Sheppard orders all teams to be recalled to the gate room. There, Jinto’s father, Halling, sends out a message to his son, telling him that he is not angry, encouraging him to make some noise. Power loss occurs again and McKay passes out. Out on patrol, Sheppard encounters a creature which appears to be a shadow of darkness. It retreats into a naquadah generator bay and leaves after he and Grodin power it down. Jinto manages to use the communication devices and explains where he has been taken, though he doesn’t specifically know where he is. As it turns out he discovered an Ancient transport chamber that was being used as a closet. Sheppard and McKay go to his location and retrieve him. Meanwhile, Grodin has managed to recalibrate Atlantis sensors to detect the entity, which they have currently running in circles by deactivating naquadah generators as it approaches them. Still, any form of energy is enough for it to feed on. It corners Ford and Stackhouse into a corridor. As Stackhouse manages to avoid it, the creature temporarily devours the Lieutenant. Back in the med bay, Ford is making a hasty recovery. 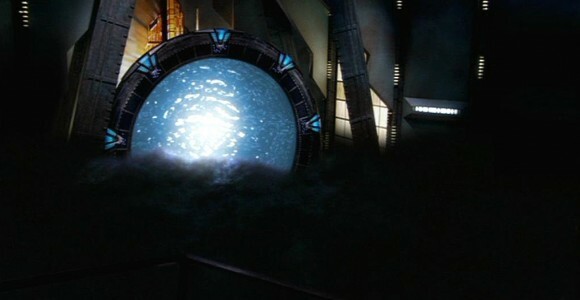 McKay has analyzed one of the devices Jinto touched — an Ancient containment unit. Apparently he accidentally released the creature into the city. From what he reads, the Ancients were researching an evolutionary development to ascension itself, using this creature as a test subject. It has been trapped in the device since they abandoned the city. One thing is clear: once the naquadah generators run dry, it will consume everyone’s life force. Jinto apologizes to Ford for indirectly getting him injured and is taken by his father to bed. Back in the pier lab, McKay determines the containment device has two primary buttons: a setting to attract the creature and one to trap it. When Weir suggests that Rodney is sufficiently protected and should be the one to stay, the Ancient shield emitter deactivates and falls off. Sheppard suggests he go get a drink. He’ll spring the trap himself. McKay eagerly departs. Power to the city is cut off and the creature eagerly makes its way to Sheppard’s location. Discovering the containment device is what it was attracted to, it takes one look at Sheppard and departs. It is obvious now that its more intelligent than anyone suspected. Teyla offers a thought that it might wish to leave the city, so a new plan is soon devised. A naquadah generator is brought to the gate room with the intent of using it and an automated M.A.L.P. to lure the entity through the Stargate to the barren wasteland of M4X-337. When the generator activates the creature arrives, larger than ever before. It now spans the entire gate room. Power to the M.A.L.P. depletes before it can get through the Stargate. Out of options, McKay has a change of heart. He replaces the Ancient shield on his chest and walks into the blackness. Inside large blue crystals, appearing in subatomic proportions, encircle him. He reaches the naquadah generator and tosses it through the gate, forcing the entity to follow, and is almost immediately rendered unconscious after the shield fails. After his team requests medical aid, they wake him and tell him that he succeeded. Some of the Athosians believe the ghosts of the Ancestors (most likely the Ancients) still exist in Atlantis in some form. Atlantis’s self-destruct mechanism has been rigged by the expedition from Earth, using the naquadah generators. It requires two separate codes, one of which has been given to every member of the staff. Once activated, it will take 20 seconds before the naquadah generators will explode. Major Sheppard has taken advantage of the S.G.C.’s ability to interface Earth video with alien technology by playing an old football game on an Ancient monitor. Each member of the Atlantis expedition was allowed to bring one personal item. Sheppard’s was a copy of one of the greatest football plays in history. The naquadah generators brought from Earth do not supply nearly enough power to activate the entire city at one time. Athosian children are trained early on to use the stars to guide them at night. The shield device found by McKay imprints on the wearer. It will not work for anyone else now that Rodney has activated it. The Ancient containment device can fit an object of almost any size, as it traps it within subspace. VOTE! How would you rate Atlantis's "Hide and Seek?"